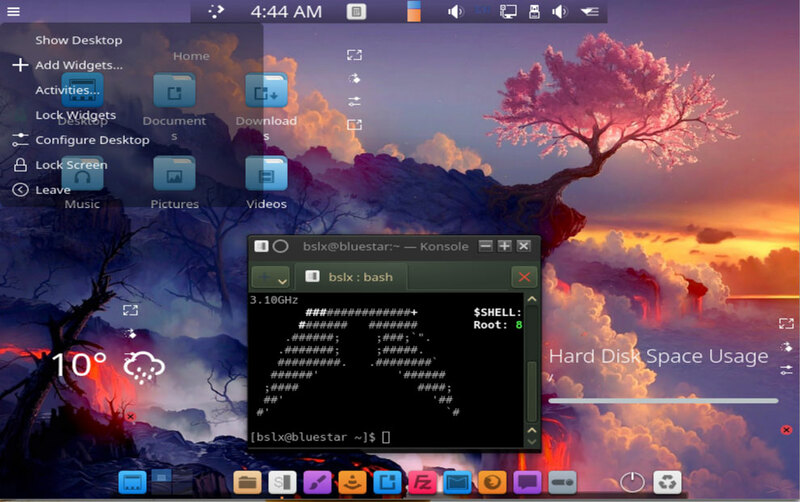 Bluestar Linux is a GNU/Linux distribution that features up-to-date packages, an impressive range of desktop and multimedia software in the default installation, and a live desktop DVD. The live session capability is one of Bluestar’s more enticing qualities. The default Bluestar desktop shows three widgets: a row of folders to provide quick access to your personal documents by file types within the home folder; a hard drive usage widget; and a weather display. 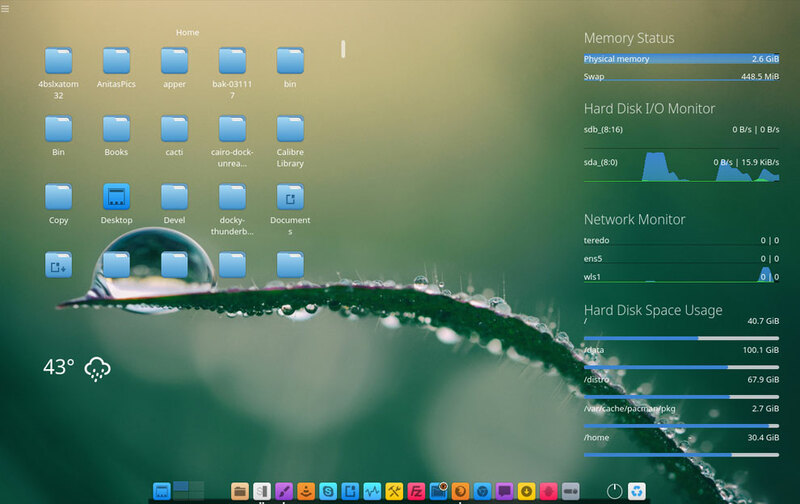 It’s easy to remove any of these widgets or add others to the desktop. 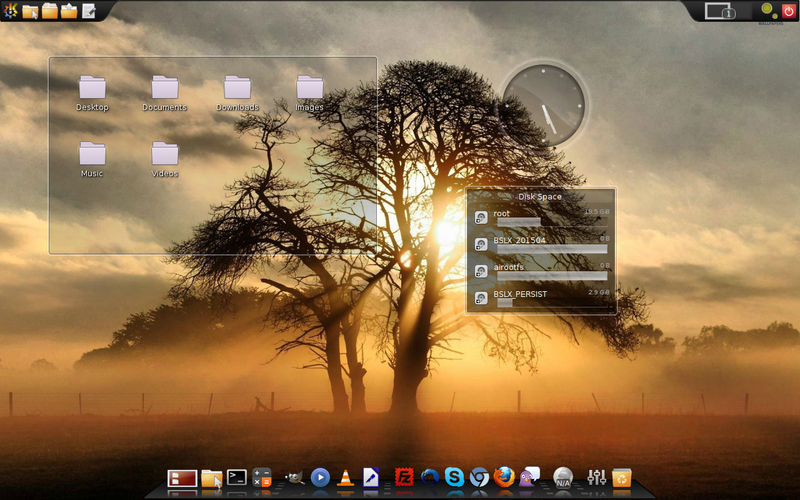 The usual system icons and displays line up across the panel. Right-click to get a settings panel to adjust the panel’s appearance, make it always visible, and add or remove items. Instead, go to the application launcher on the hidden upper panel. 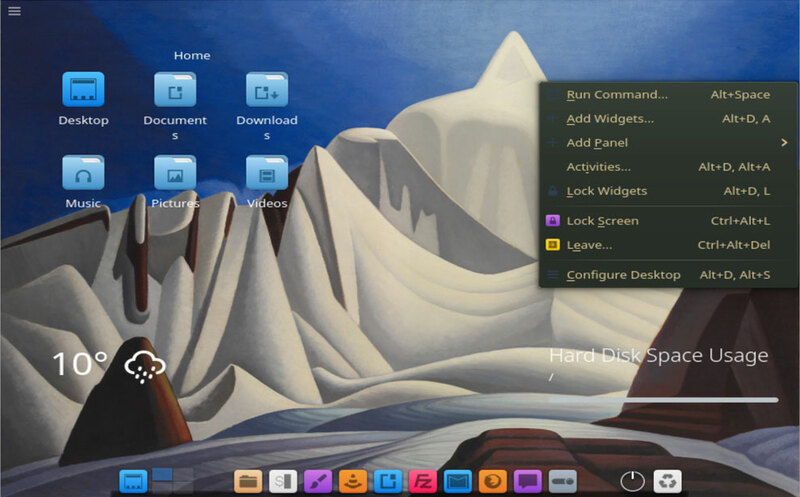 Type “Bluestar Linux installer” into the application launcher’s search window to get to the installer. TIP: If you spend some time in the live session, a period of inactivity will lock the system. All you need to unlock the screen is the password “user” (no apostrophes). Just do not expect to find that information on the website too easily. But wait. There is an alternative. You can use the GUI front-end for Pacman — PacmanXG. This is a powerful graphical tool for performing all the tasks associated with Pacman. You also can use other popular front ends for Pacman.